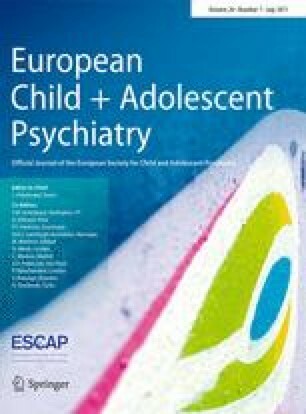 We aimed to examine the association between in utero exposure to β2AA and risk of attention-deficit/hyperactivity disorder (ADHD). We established a cohort of 672,265 children born from 1998 to 2008 in Denmark. Children were categorized as exposed if their mothers had redeemed a prescription of β2AA in pregnancy (from 30 days prior to conception until delivery). We identified children diagnosed with ADHD in the Danish National Hospital Register for the first time after his/her third birthday. Log-linear Poisson regression was used to estimate adjusted incidence rate ratio (aIRR) of ADHD. In total, 25,434 children were born to mothers who had redeemed a β2AA prescription in pregnancy. The exposed children had a 1.31-fold increased risk [aIRR = 1.30, 95% confidence interval (CI):1.20–1.42] of ADHD compared to unexposed children after adjusting for potential confounders. However, when extending the exposure window to 2 years prior to conception until delivery, exposure to maternal use of β2AA only before pregnancy, only during pregnancy, and both before and during pregnancy was associated with elevated risks of ADHD in children, with aIRRs of 1.31 (95% CI 1.22–1.40), 1.38 (95% CI 1.22–1.57), and 1.30 (95% CI 1.16–1.45), respectively. In mothers with a history of asthma, no association was observed between maternal use of β2AA during pregnancy and ADHD in offspring (aIRR = 0.92, 95% CI 0.74–1.15). In utero exposure to β2AA was associated with an increased risk of ADHD in children. However, it is more likely that confounding by indication, the underlying disorders or associated pathological conditions, may explain the association. The online version of this article (doi: 10.1007/s00787-017-0956-4) contains supplementary material, which is available to authorized users. Jakob Christensen has received honoraria for serving on the Scientific Advisory Board of UCB Nordic and Eisai AB. Jakob Christensen has also received honoraria for giving lectures from UCB Nordic, and Eisai AB and has received funding for a trip from UCB Nordic. Other authors declare that they have no conflict of interest. The study was supported by the National Natural Science Foundation of China (81428011), the Nordic Cancer Union (2013_129830, 2015_176673), the European Research Council (ERC-2010-StG-260242-PROGEURO), Danish Council for Independent Research (DFF-6110-00019A), and Karen Elise Jensen (2016). The funders have no role in design and conduct of the study; collection, management, analysis, and interpretation of the data; preparation, review, or approval of the manuscript; and decision to submit the manuscript for publication.